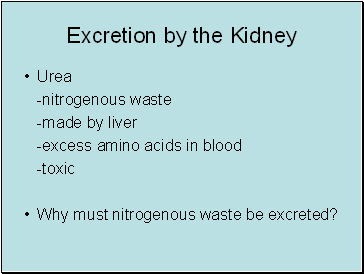 Why must nitrogenous waste be excreted? 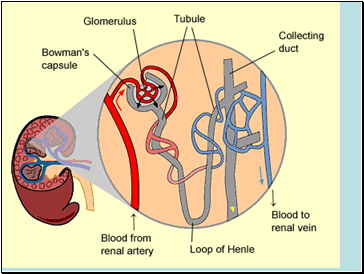 Lets have a look at a nephron!!! 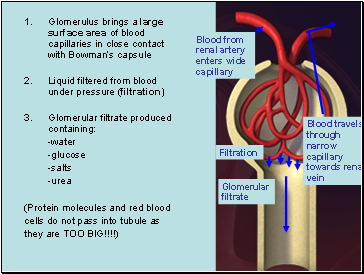 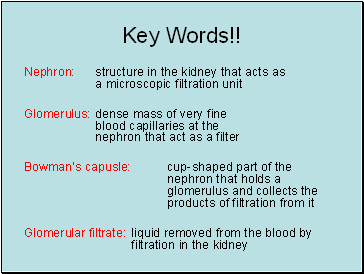 Which feature of the glomerulus helps the process of filtration? 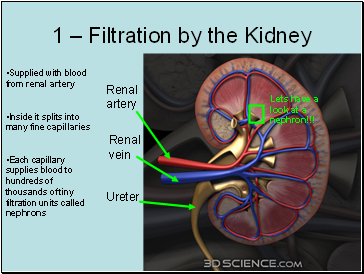 Which 4 components of unfiltered blood appear in the glomerular filtrate? 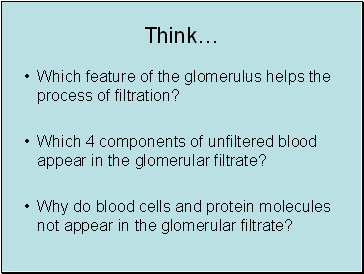 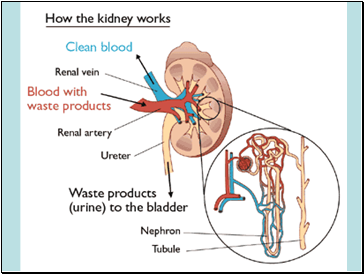 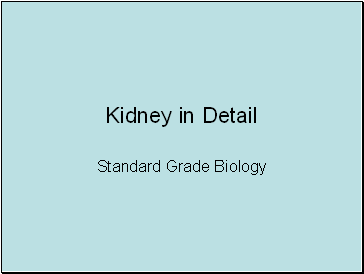 Why do blood cells and protein molecules not appear in the glomerular filtrate? 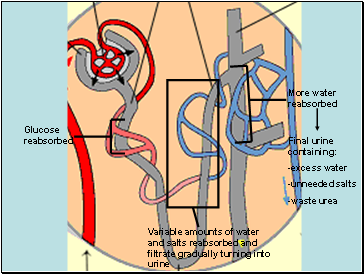 If nothing more happened in the nephron then all the useful stuff would be lost in the urine! 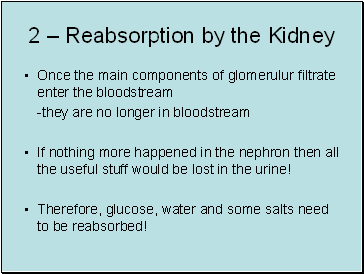 Therefore, glucose, water and some salts need to be reabsorbed!